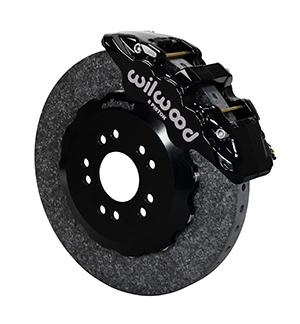 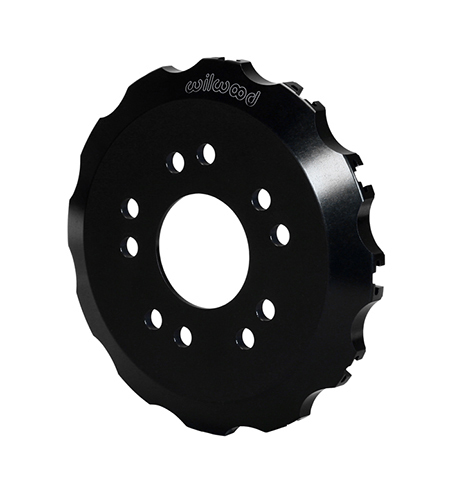 AERO6 WCCB Carbon-Ceramic Rotor Front Brake Kits offer an extreme performance upgrade featuring WCCB Carbon-Ceramic Dynamic Mount Rotors with Wilwood’s exclusive Bobbin Mounting System. 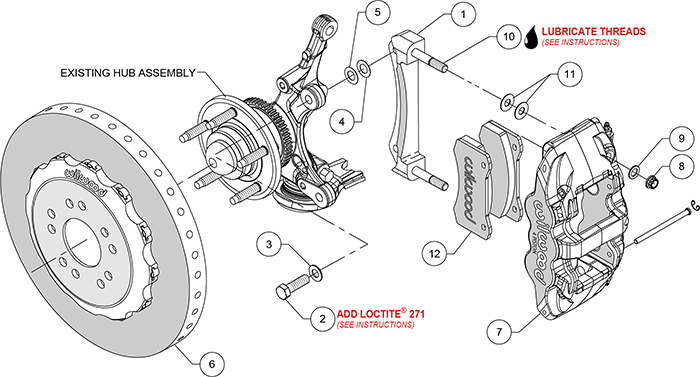 AERO6 WCCB kits are engineered to maximize braking capacity inside custom wheels. 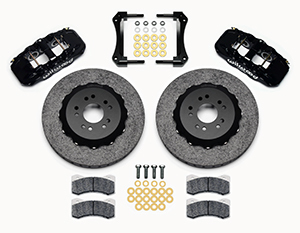 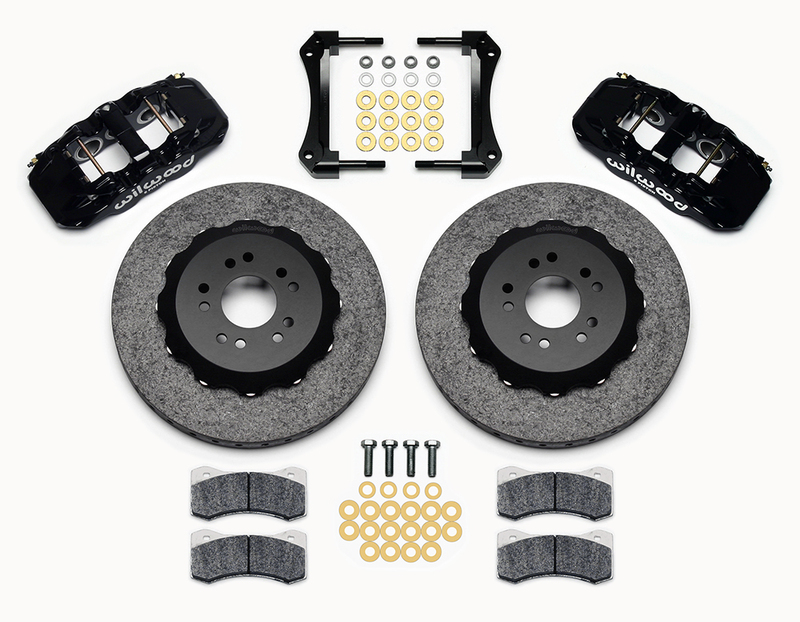 These brake kits offer a simple bolt-on installation with minor modifications required to the front spindle only and are fully compatible with ABS and OE master cylinder output. 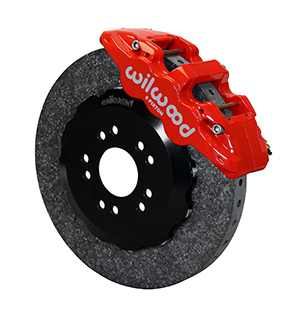 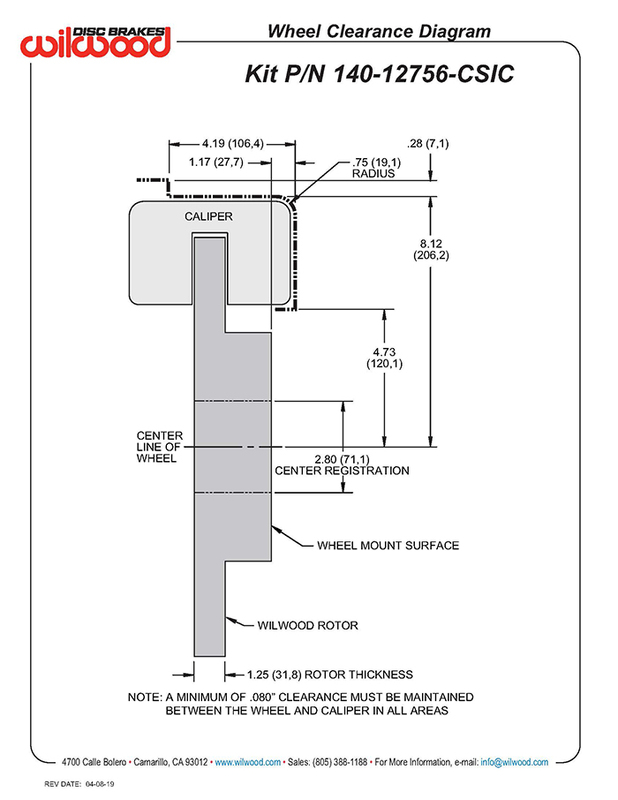 W6AR calipers are a competition proven and offer fully detail machined forged caliper body demonstrates superior strength and resistance to deflection and separation under high load. A high temperature, fluid resistant “Quick-Silver“ Nickel plate is the standard for performance, other colors (Black and Red powder coat) are available as options. 14.00” WCCB rotors are made from a proprietary blend ceramic matrix composite material commonly known as Carbon-Ceramic and dynamically using Wilwood’s proprietary integrated anti-rattle Bobbin Mounting System. 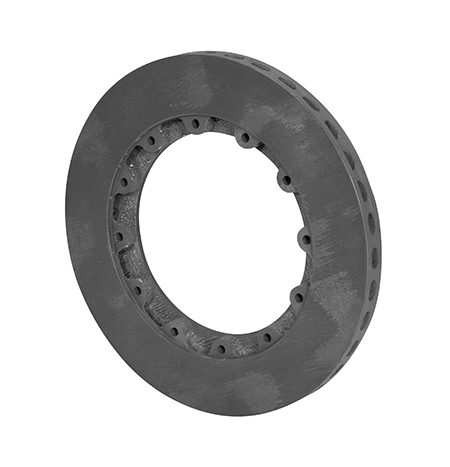 WCCB rotors offer higher thermal conductivity and heat capacity in excess of conventional iron or titanium rotors of similar or even greater weight and have been developed to withstand extreme temperatures with the highest possible degree of resistance against distortion, warping, cracking and wear.